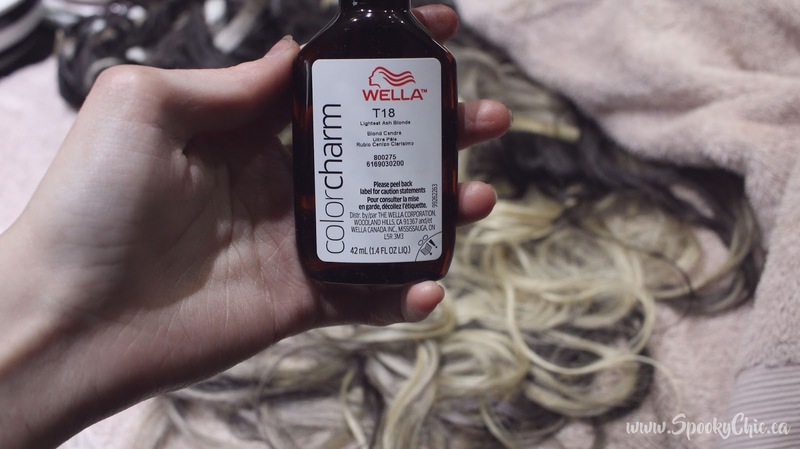 How To: Black To Silver Ombre At Home with NO DAMAGE! 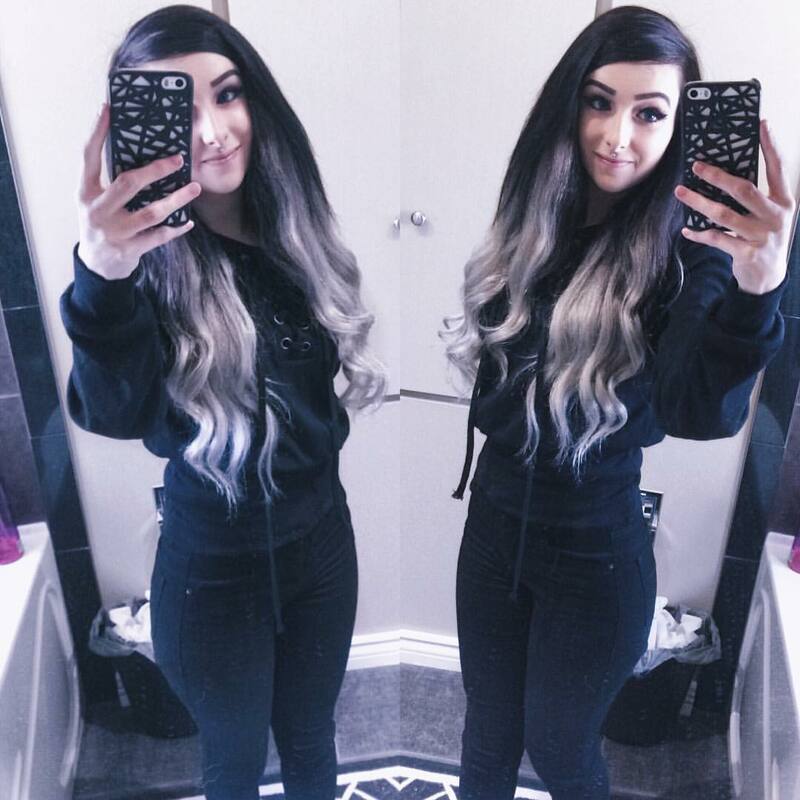 A little while ago I was rocking my black to silver hair extensions and I wanted to show you how I created this ombre myself at home! It wasn't hard and I didn't have to damage my hair at all to achieve these results! 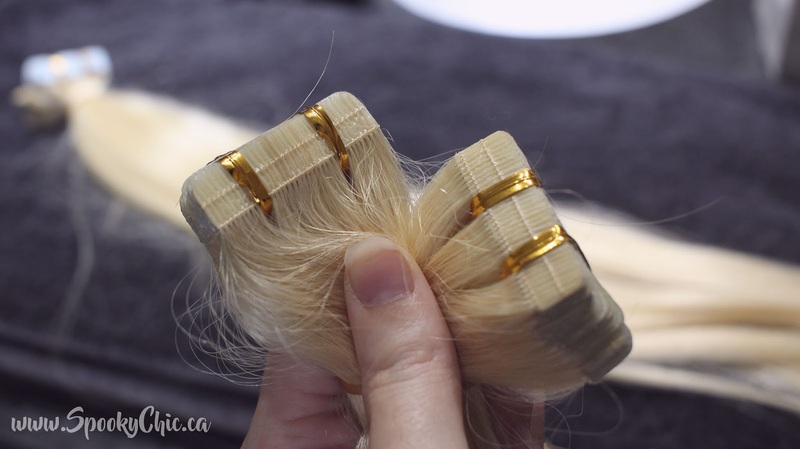 I first started out with a set of VPFashion tape in extensions in their #613A blonde colour. I knew I didn't want to bleach a set of black extensions and go through a vigorous toning process and figured it would be much easier to colour them black and blend from there! 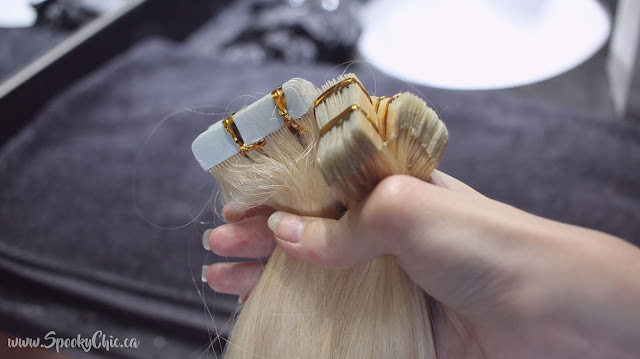 VPFashion has introduced their new invisible tape in extensions which have thin and invisible tape so they lay totally flat against your head! Personally I love that because I like to have a lot of extensions in and closer to the top of my head for maximum length and volume and don't have to worry about them showing through too obviously! I headed to Sally's Beauty Supply and picked up a box of Color Brilliance dye in the shade 1NN, this is the colour I'm going to be using for the top half of the extensions and blending down to create the ombre. 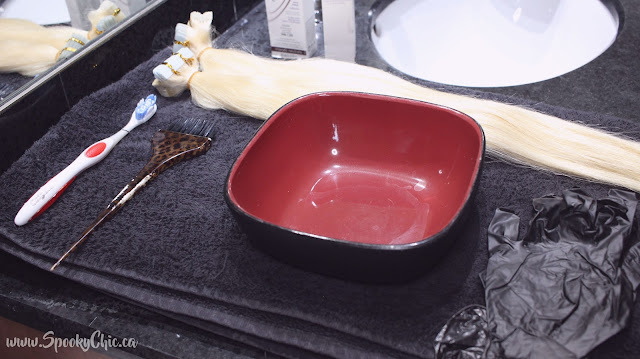 You're also going to need a bowl for the dye, a toothbrush to help blend, a brush to apple the dye and gloves! 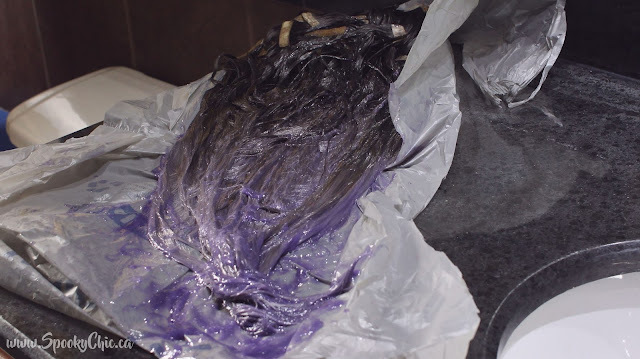 I'm going to insert a video below of me applying the dye so you get a much better feel for how I achieved it than trying to explain how I blended it all together, I think it will be way more helpful! See? Wasn't that WAY easier? Of course the video did explain the whole process but in case you missed anything or didn't want to watch it all, keep scrolling and I'll show you how I toned them! 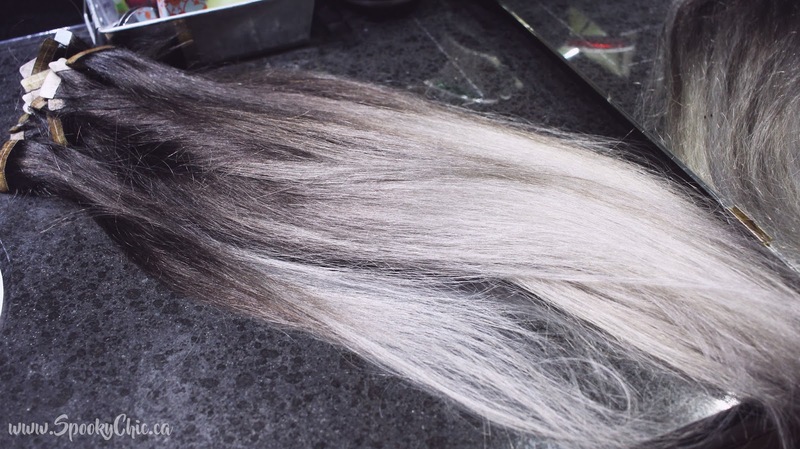 I used a bottle of Wella T18 to tone out the blonde colour and make it more silver because I didn't really fancy the black to blonde ombre that was currently going on, like you can see in the photo below! 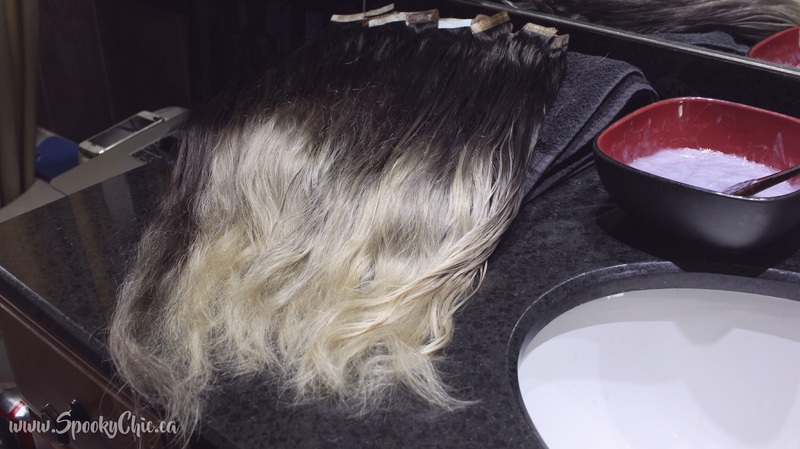 I applied the toner pretty liberally because I didn't want to miss any pieces and well.. just because haha, I have no excuses! I am definitely NOT a professional and have never claimed to be! 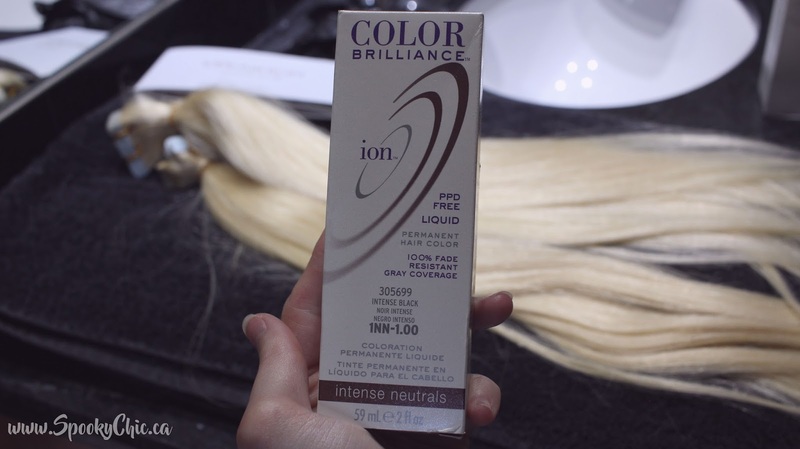 And here is the final results after the toner! 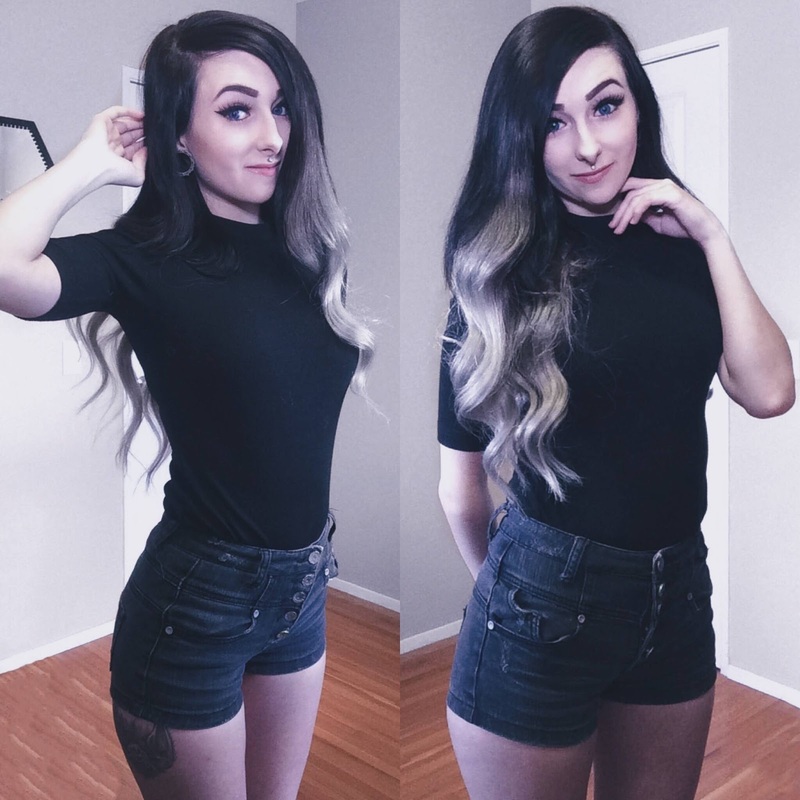 I am absolutely in love with it and for being my first time ever trying to create an ombre I'm pretty proud of myself and my blending skills! 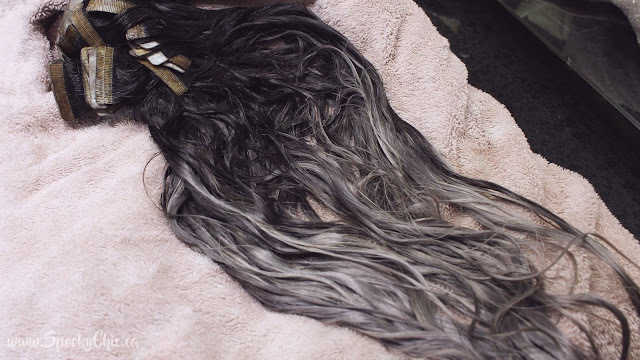 If by chance you wanted to get the same extensions I have a coupon code where you get $10 off if you use code MIMI, That helps you out and me! I hope this little tutorial helps you out and if you have any questions feel free to leave them down below and I'll get back to you!